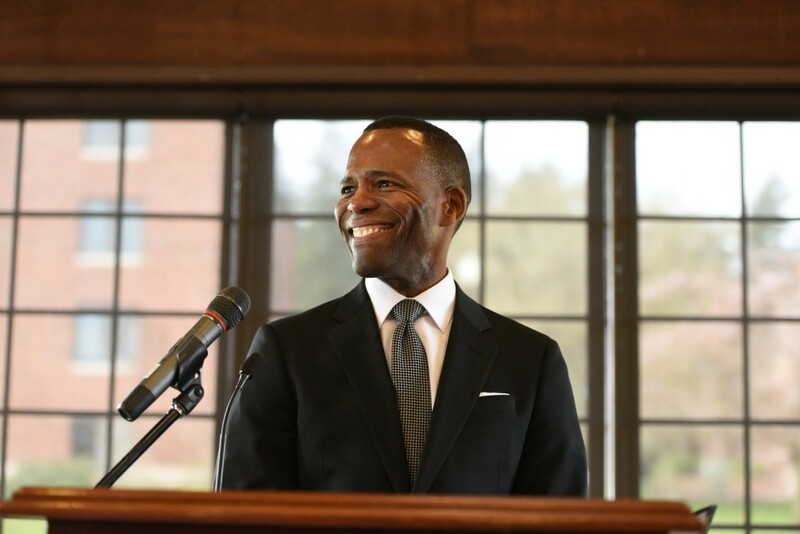 A distinguished scholar, teacher, and college administrator, Isiaah Crawford became president of University of Puget Sound on July 1, 2016, following an extensive national search. Crawford's academic work and achievements as a senior administrator are closely aligned with the values and aspirations of Puget Sound, and with the key areas of challenge and opportunity facing higher education today. Crawford came to Puget Sound following service as provost and chief academic officer of Seattle University (2008–16), where he directed the Division of Academic Affairs and oversaw the university's schools and colleges, libraries, enrollment, information technology, institutional research, and offices supporting student academic achievement, faculty affairs, and global engagement. A licensed clinical psychologist, Crawford earned his bachelor's degree from St. Louis University, and master's and doctoral degrees in clinical psychology from DePaul University, where his research focused on personality theory and community psychology. He completed a pre-doctoral clinical psychology internship at the San Francisco VA Medical Center; worked as a clinical specialist at Charter Barclay Hospital and staff therapist at DePaul University Community Mental Health Center; and maintained a private clinical practice in Chicago from 1987 through 2002. Crawford's numerous other activities include serving on the board of directors for Swedish Health Services (2010–12), AIDS Foundation of Chicago (1994–08; board president, 2004–06), and Horizons Community Center (1988–92). He is former president of the Clinical Psychologists Licensing and Disciplinary Board of the Illinois Department of Professional Regulation, and previously served on the national advisory board of the Sexual Orientation and Gender Institute (2006–08), National Institutes of Health Panel Review–AIDS and Related Research (1999–2002), and various roles with the American Psychological Association.